Paavo Järvi held the position of Music Director of the Frankfurt Radio Symphony (hr-Sinfonieorchester) from 2006 to 2013 and assumed the position of Conductor Laureate at 2013. Originally from Estonia, Järvi is one of the most successful conductors on the international music scene and is a sought-after guest for many of the world's most renowned orchestras. 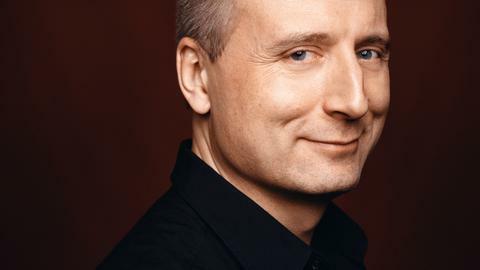 He has been Artistic Director of Die Deutsche Kammerphilharmonie Bremen since 2004 and from 2010 to 2015 he has been Music Director of the Orchestre de Paris. In 2015 he took up the position of Chief Conductor of the NHK Symphony Orchestra in Tokyo. 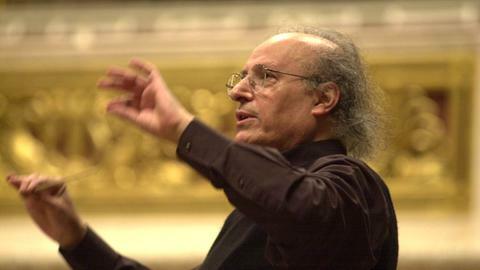 In addition he will be the Chief Conductor and Music Director of the Tonhalle-Orchester Zürich from the 2019/20 season. Paavo Järvi has enjoyed continued success with the Frankfurt Radio Symphony on an international level and together they have worked intensively to produce an extensive catalog of critically acclaimed recordings, which include Brahms' Ein deutsches Requiem, Piano Concertos No. 1 and No. 2 (with Nicholas Angelich), Bruckner's Symphonies No. 1, 2, 4, 5, 6, 7 and 9, the Cello Concertos by Dvořák and Herbert (with Gautier Capuçon), which was awarded the ECHO Klassik, as well as Hindemith's Trauermusik and Der Schwanendreher (with Antoine Tamestit) and the Violin Concerto (with Frank Peter Zimmermann), which was awarded the Preis der deutschen Schallplattenkritik. They also received the Preis der deutschen Schallplattenkritik, quarterly critics choice award for their recordings of the Mendelssohn and Schumann Violin Concertos (with Christian Tetzlaff). Additional recordings include the Symphony No. 2 and selected symphonic movements by Mahler, Mozart's Piano Concertos K. 467 and K. 595 (with Lars Vogt), Hans Rott's Symphony No. 1, the Shostakovich Piano Concertos (with Alexander Toradze) and most recently Erkki Sven Tüür's Symphony No. 7 and Piano Concerto (with Laura Mikkola), a CD with pieces by Kagel, Furrer, Widmann and Ruzicka as well as Prokofiev's Cello Concerto and Shostakovich's Cello Concerto No. 1 (with Steven Isserlis) and Prokofiev's Violin Concerto (with Viktoria Mullova), Hindemith's Symphony »Mathis der Maler« and »Symphonic Metamorphosis« and a CD with Brahms'/Schönberg's Piano Quartet No. 1 and Bach's/Webern's »Ricercata«. Paavo Järvi and the Frankfurt Radio Symphony have also recorded all Nielsen's symphonies for CD and a complete Mahler cycle for DVD.